Well, here we are folks, halfway through the production weekend for the second issue of le papier for the semester. 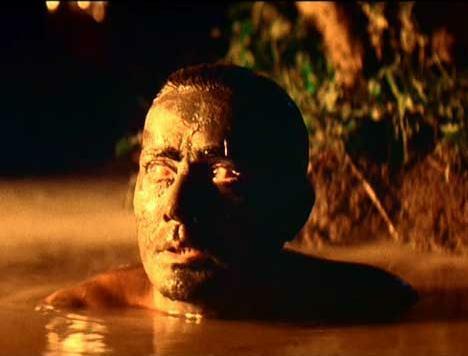 At this point we’re thinking of it like this: Marlowe and his crew have sailed up the Congo to retrieve Kurtz and exit–only, once we entered the heart of darkness, the water supporting our little ship evaporated in an unheard of drought (ignore the fact that this is virtually impossible given the climate involved). We’re running out of supplies, and there is no foreseeable end in sight. We start to look at one another in our pangs of hunger (the cafe is closing; the cookies are gone). We realize that there is extra fat on our sports editors–previously unheard of–and look on in envy as our executive and news editors waste away in pain. The earwax editor has gone deaf, and the arts have once again become historic cave drawings. We hear a voice. It is Kurtz! Only a voice? No! His voice enthralls, inspires. It gives us pith with which to carry on. Who is this Kurtz? It could be you!